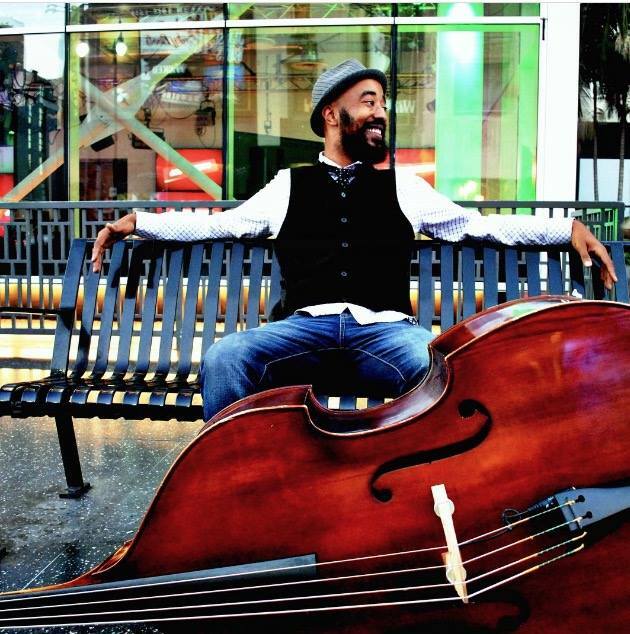 Dale Black Jr.-renowned bassist, teacher/educator, writer and producer started his musical career at the age of 9. Displaying a precocious affinity for various music genres and being brought up in the Blues and church traditions, jazz came to be a natural extension as well as world and other musical idioms in his pursuit of musical expression as a musician. He is known for being able to bridge both electric and upright bass, anchoring improvisational skill with finesse and clarity and a unique, and a free-spirited approach to performance and composition. Since his arrival in Los Angeles Dale has been embraced for his talents and has been sought out by many artist including Kenny Burrell, Kamasi Washington, Dave Chapelle, Terrace Martin, Andre Crouch, Karen Briggs, and the late Solomon Burke to name a few. His debut and much anticipated solo release is slated for the fall of 2017.. It is no secret that Dale is more than just a bassist; but a devotee to to the music, and what he likes to call “sonic alchemy”, bridging musical elements together to bring out the golden expression that will uplift those who hear. He lives by his favorite quote which states, “ Whether you think you can, or whether you think you can’t, you’re right.